To boost the efficiency of large volume scanning at centralised operation, up to 500 sheets can be loaded to the hopper at a time. Together with the blazing scanning speed of 100 ppm (colour, A4 size, simplex, 200/300 dpi, landscape), maximum productivity can be achieved. 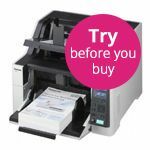 The fi-6400 is capable of digitising a variety of document types used in every scenario from ultra-thin receipts to thick document (20-209.3 g/m²). 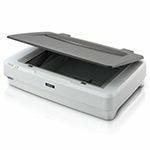 In addition, this scanner is equipped with reliable "paper protection functions" to minimise the risk of documents being damaged even during the high speed scanning. 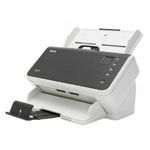 Having a front loading feeding mechanism and low height compact design, the fi-6400 allows operators to perform scanning tasks while sitting at the desk. 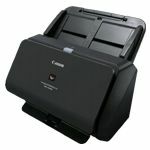 The scanner is designed to minimise the device’s height to allow user to load and remove scanned documents with ease. These greatly reduce the stress of operator who tends to operate for long hours. 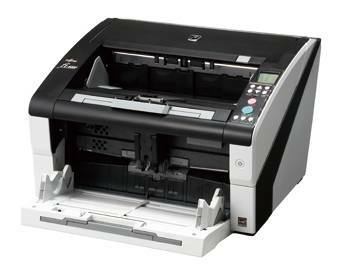 The Fujitsu fi-6400 scanner empowers efficient centralised batch scanning. 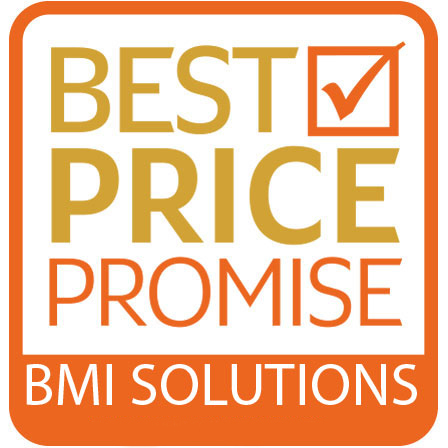 It includes advanced image processing and capturing applications including PaperStream IP and PaperStream Capture, and Scanner Central Admin, providing users with the most powerful, efficient and easy-to-use image enhancement solutions to get organisations up and scanning quickly and easily. The scanner driver PaperStream IP, which supports TWAIN/ISIS, saves the hassle to fine adjusting the document for OCR process. It automatically converts the images into exceptionally clean images, accelerating OCR even when scanning wrinkled/soiled document or documents with background. PaperStream Capture is an application to scan and manage the scanned data using fi Series scanners. Whether it is adjusting the scanning settings or performing batch scanning, you can complete the tasks easily with the user-friendly UI. With the seamless linkage with PaperStream IP, you can perform high quality image processing and batch scanning at the same time. With just a few easy settings, PaperStream Capture saves time to sort and save scanned documents with its automated process. As the “Automatic Image Quality Checker” automatically detects folded and damaged document, scanned images can be checked and confirmed effortlessly. Even when installing several scanners, performing the same adjustments to every scanner is unnecessary. 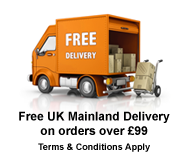 Using the bundled Scanner Central Admin, up to 1,000 scanners can be managed from one location. In addition, the usage status is traced, so periodic replacement of consumables can be planned and performed smoothly. Automatic Stacker ensures all your scanned documents tacked neatly and tidily. The acclaimed “Intelligent multifeed function”, which is available to our high-end models, simplifies pre-scanning preparation and improves efficiency by ignoring documents that tend to trigger false multifeed alerts, such as documents with intentioanally attached photos and sticky notes.